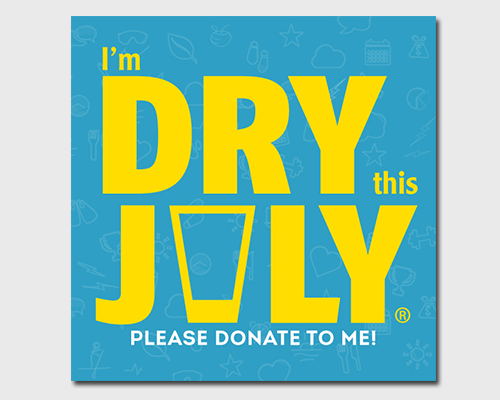 Dry July is more than just giving up alcohol. 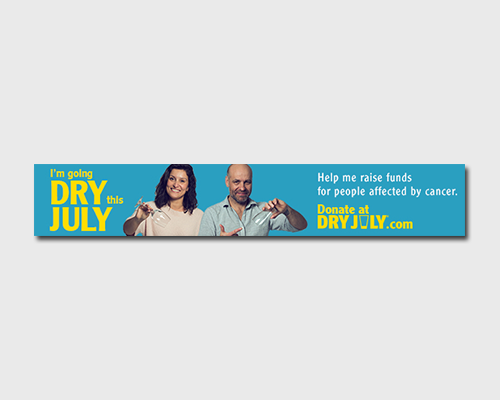 By going Dry this July, you have the chance to raise important funds for people affected by cancer, so don't be nervous about asking people for donations. A comfier chair, a brighter waiting room, a lift to an appointment, or a complimentary massage; these are just some of the ways your fundraising will help cancer patients and their families. Remember, friends, family and colleagues will want to support you - but they won't know to donate if you don't ask them! 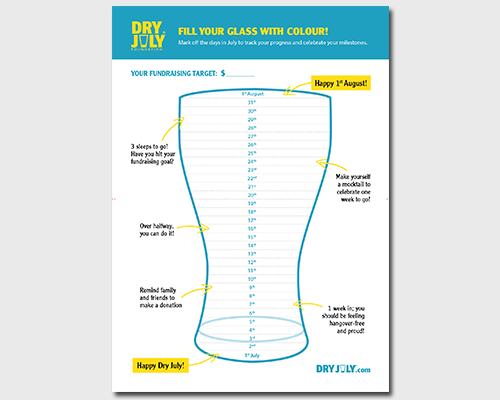 Share on social media to let people know you're going dry. Download and print these posters to help spread the word. 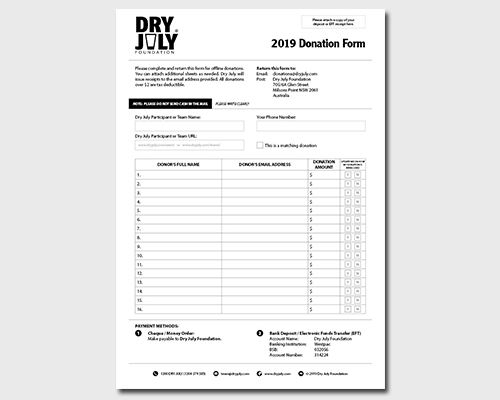 Log in to send friends and family an email about your Dry July. 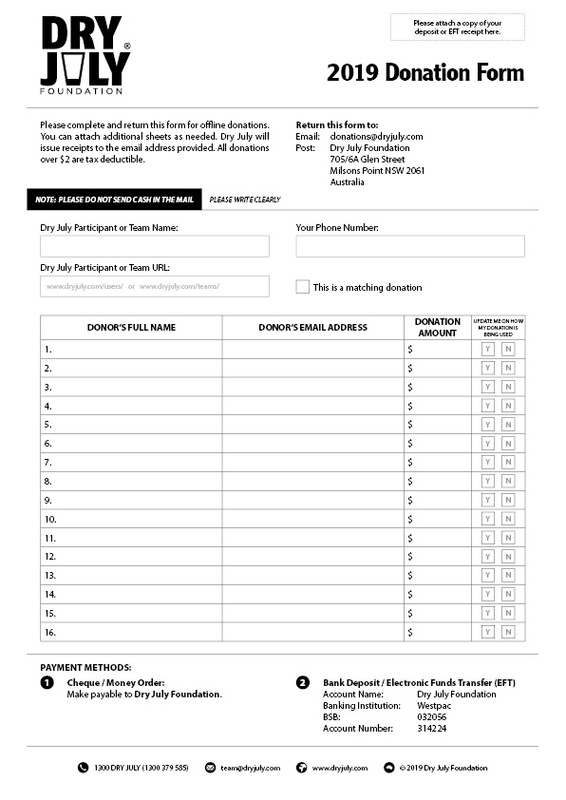 Complete this form if you're collecting offline donations. Nothing shows commitment to the cause and challenge like donating to yourself. It's also a great way to lead by example - if you're asking friends and family to make a donation, it makes sense to donate to yourself as well! Plus, people who donate to themselves raise twice as much as people who don't. 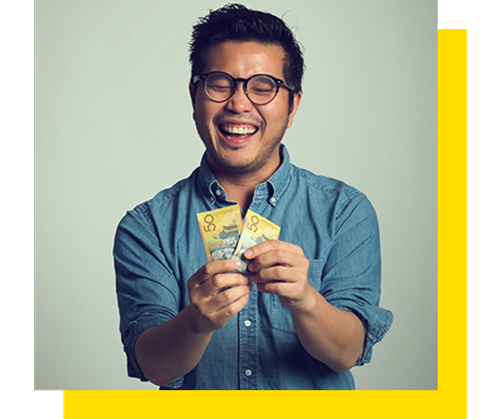 Let friends, family and colleagues know you've signed up to the challenge - that way, there's no backing out! 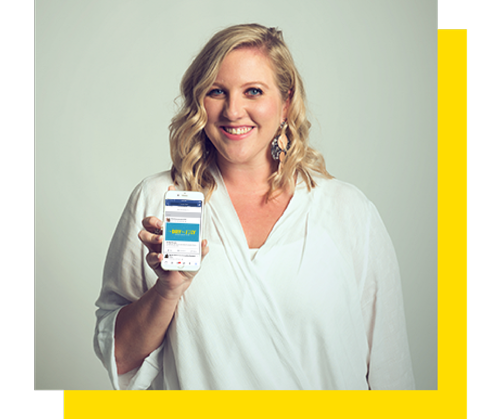 Tell them in person, send an email, send an SMS, put it on Facebook, Tweet it, Snapchat it; whatever works for you (maybe all of them)! Don't forget to let them know how they can support you and make a donation: share your profile page URL, or ask them to search your name on the website. We all need reminding every now and again. You're doing something great for yourself, and for others, so don't hesitate to follow up people, and remind them to make a donation. Even if you've asked before, people get busy or simply forget. A easy way to remind people is by posting updates throughout the month. 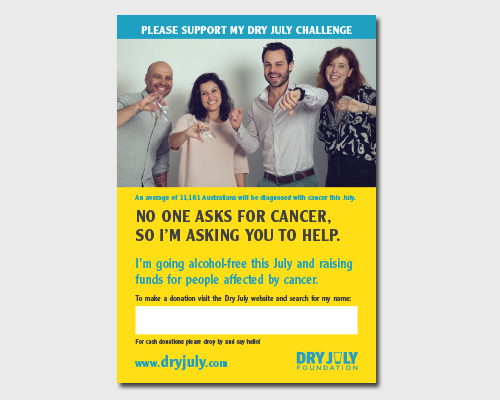 Don't forget to explain why you're taking part and why Dry July is important to you. Let friends and family know that their donation will not only motivate you to stay dry, but it's going to a great cause; helping people affected by cancer. Count down the days in July with our tick-off poster. 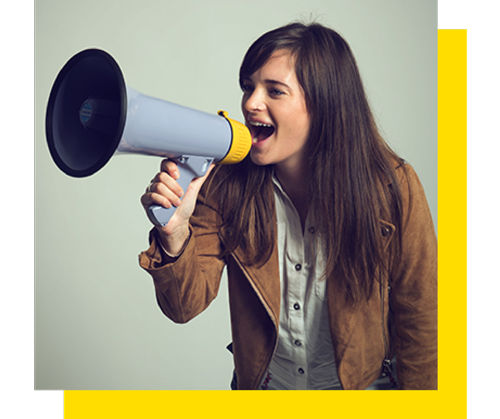 Add this banner to your email signature and link to your profile. Special occasion in July? 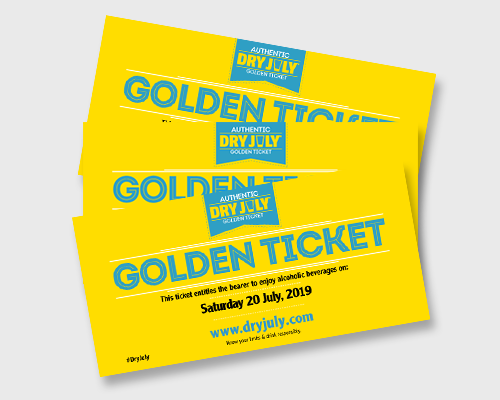 Buy a Golden Ticket. 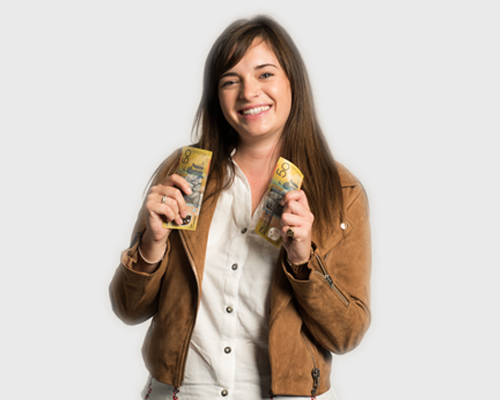 Ask your employer if they offer Employee Dollar Matching.